I wish I were clever and resourceful enough to come up with a commercial similar to the one below, to illustrate how we treat marriage on social media. We do not realize just how serious a responsibility we bear when we ask for or receive advice about marriage online. Numerous blogs and websites offer generic advice to visitors. But since we are social beings, we prefer to seek advice directly from others, in chat rooms and forums, where it is easier to hold conversations, and where we have easy access to other people’s “wisdom”. We don’t even have to reveal too much, just enough to catch the eye or ear of a willing commenter — or two, or three, or four — who may want to get their .02 in, eager to impart knowledge and experience. Crowdsourcing is great when it comes to picking a paint color for the living room, or the most comfortable running shoes, or where to send a child for ballet lessons. For marriage advice, not so much. I’ve noticed a trend the last few years: people go on social media asking “friends” for their opinions on what they should do with some problematic situation in their marriage. It’s not only women who do this, but men as well. What’s disturbing, however, is that too often, they are told to leave, and file for legal separation or divorce. Even among Catholic circles, it seems this has become the default advice. Needless to say, when seeking advice we need a good measure of honesty, and at least consider that we might be merely seeking affirmation for our bad choices. We like to think that we are discerning individuals, able to sift through the dross and the meaningless. But how much dross are we actually able to sift out? We could be bombarded with “counsel” from well-meaning netizens who know next to nothing about us and yet dole out advice that caters to the extreme cases of troubled marriages. The sheer number may convince us that some particular guidance or direction is reasonable when in truth, it is not. The nature and dynamic of social interaction online almost makes it imperative for anyone giving marriage advice “in public” to consider all points along the spectrum. We want to cover our bases. We want to make sure that anyone who MIGHT be lurking and who MIGHT need our advice and who MIGHT actually be in some sort of risky or dangerous circumstance is reached by our generosity and kindness and compassion. Thus, frequently we do not give recommendations tailored to someone’s specific situation. We can’t. There are many crosses in marriage, yes, but it is wrong to equate every cross to abuse that necessitates separation or divorce, especially when all we are given, all that people reveal about themselves, is a microscopic peek, a minute percentage of the reality they live. Whatever advice we offer, we will not be there to see the resulting ripples. We would not see the impact on the individual, the spouse, or the children on the other side of that screen. Most importantly, we don’t know how we affect someone’s salvation. The answer is not, of course, that people giving advice should become more intrusive, or for advice-seekers to become less private. We’ve all seen the cringe-worthy effects of TMI. Perhaps it’s our mobile existence that’s driving this phenomenon, or maybe our culture of instant gratification — we want answers now. But online acquaintances cannot take the place of someone who has intimate knowledge of an individual, or a couple, and who has a genuine interest in wishing to see the marriage last. This is the kind of intimacy you only find in friendships that have grown over time. We do need more marriage support in our communities, especially for the younger couples still tentatively navigating the waters of marriage and parenthood. Where many young couples are children of divorce or separation themselves, a spiritual director is a must. Some may need coaching on communicating better or finding ways to express anger appropriately, for instance. At the very least, we who care about marriage as the basic institution of society need to exercise more prudence. We cannot take marriage so lightly that we become too quick on the draw. Broken marriages cannot ever be the ideal no matter how much we try to normalize it in our TV shows and movies. 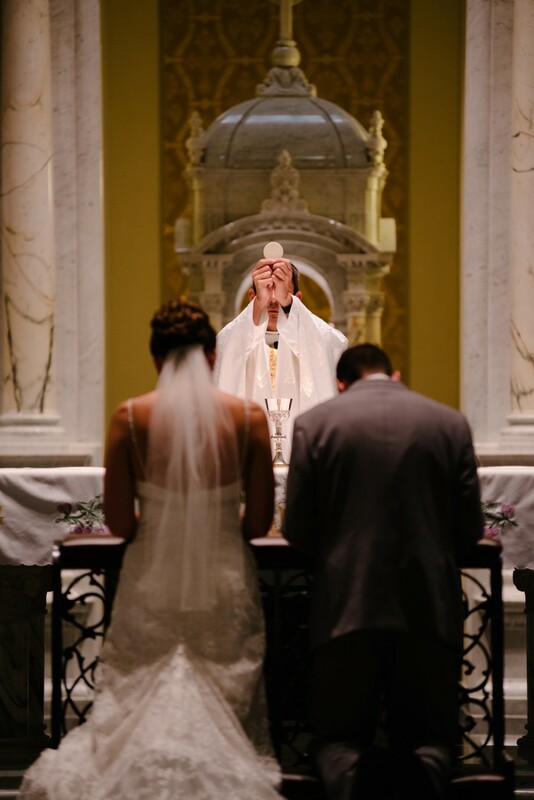 Our help could be misplaced if not properly directed towards the good of the other, and the fragility and uniqueness of marriage is such that no advice is ever a one-size-fits-all. What could be life-saving in one case could be disastrous in another. Repercussions could be devastating, and we may end up ruining lives instead of saving them. #MeToo, In the Time of 50 Shades and GoT?